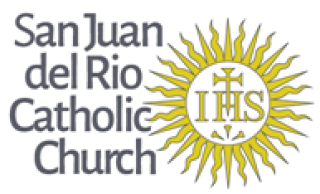 The Parish Community of San Juan del Rio Catholic Church began with 40 families in 1977 who met for worship in the Old House of the Marywood Retreat Center located on the scenic St. Johns River. By 1993 the parish had 350 families and had constructed a multi-purpose building for worship on its current site. The demographics of the parish were largely composed of young families with pre-school aged children who strongly expressed their desire for a Catholic school education for their children. With the approval of the Diocese of St. Augustine, building plans for a Catholic school were developed and construction began in 1994. 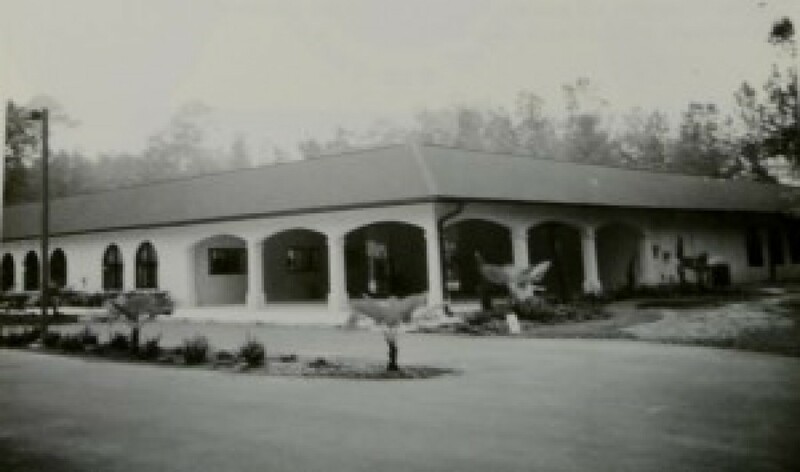 By the fall of 1995, the first school building opened for grades pre-k through 2nd with 75 students. The following year 3rd grade was added and construction began in the fall of 1997 for the second phase of the school building. The new construction added classroom space through grade 8 as well as a multi-purpose room, library and media center. In addition, basketball courts, playground facilities and athletic fields were completed. The school experienced healthy growth and in 1999, at the time of its first accreditation visit, boasted a total enrollment of 271 students in grades pre-k through 8th. There was some discussion at this time about expanding the school, but because there was a greater need to construct a larger church sanctuary, plans to expand the school were put on hold. With an increase in enrollment for the 2006-07 school year, discussions about school expansion began again. Although the new church had not yet opened due to construction issues, the parish was continuing to experience substantial growth and so was the school. Key leadership decided to grow the school by adding three new classes of pre-k, kindergarten, and first grade for the 2006-07 school year. A modular learning center was purchased to accommodate the additional classes. Concurrent with this decision, plans for a more permanent addition to the school, as well as plans to renovate the existing church and build a family activity center, including a gymnasium, began to take shape. The 2007-2008 school year began with the opening of the middle school building, which included a new technology lab, library, and science lab. Fund-raising for the new Family Center began the summer of 2011. The Family Center will include meeting rooms, a gymnasium, and additional classrooms.